When arriving in Cusco we met a travel agent (Adan – http://www.awecusco.com) who has helped us with all our outstanding arrangments. 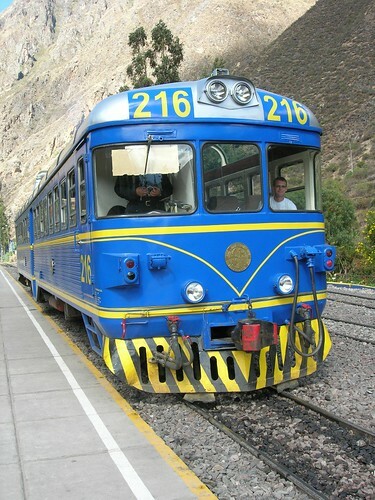 For today he fixed a privat driver to Ollantaytambo and train to Aguas Calientes (Machu Picchu town). Yesterday he told us that he would join us, and asked if we wanted to stop on some sights on the way. Of course we did!! At 9 a.m. Adam and his driver picked us up, and we said goodbye to the rest of our group. 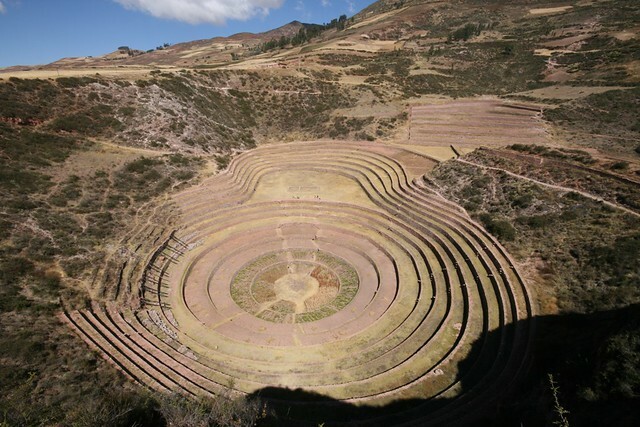 We drove through some amazing landscapes and had our first stop in Moray, a terraced circle with different temperature and climate on each level. The theory is that the Inkas used this as a laboratory to test which crops to grow in which conditions. We also had a short stop at Salinas, which are thousands of salt pans used since Inka times. At 1 p.m. we started the journey towards Machu Picchu by train from Ollantaytambo. As you can see on the Pictures page we had the whole (small) train to ourselves. We are now in Aguas Calientes, and will meet our Machu Picchu tour guide for a short briefing later tonight.